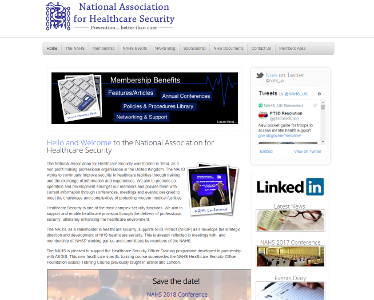 Following the dissolution of NHS Protect in 2017, NAHS Executives have been working hard to promote the Association and the role of the LSMS and NHS Security Management as integral elements in the delivery of safe and effective healthcare. This newsletter is the first in a while and is aimed at providing members with an update on our activities and existing projects and workstreams and events. This year the Association is seeking registration and charity status (Charitable Incorporated Organisation) and will later be pursuing registration as a Professional body. These changes and developments will allow NAHS to exist as a legal and protected entity. Furthermore, it allows us to become a professional registration body, to have insurance, protect our name, post nominals, and register graded memberships. It also allows us to pursue a 5 year plan to become a Chartered body thereby enabling us to have Chartered Members. Further information in the form of a specific briefing note has been provided for all members here. Please follow the link to read the full story. 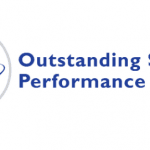 This is the first step towards making NAHS a professionally recognised organisation. 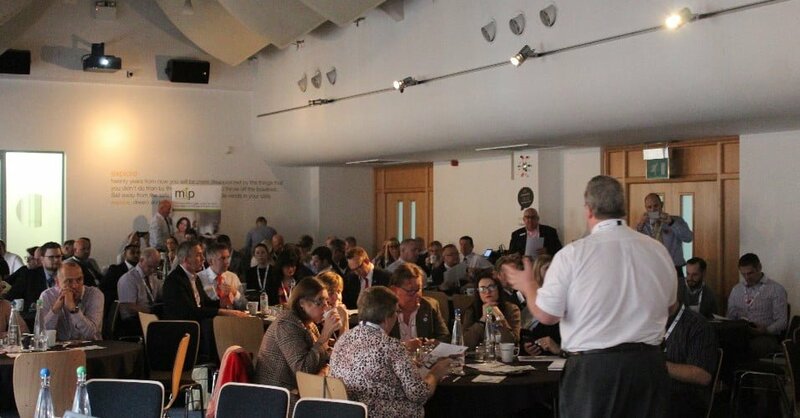 Following the resounding success of last year's AGM and sold out Annual Conference entitled 'Protecting the Million', we are returning to the Studio, Birmingham for a second year, again organised by www.AllSecurityEvents.com. The speaker programme for #NAHS18 is being finalised however, we have confirmed Caroline Sweeney, Mental Health Nurse Consultant, Guys and St Thomas' NHS Foundation Trust as one of our key speakers. The full programme will be circulated once all speakers and our agenda have been confirmed. 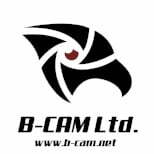 We are extremely pleased to be able to announce that B-Cam are sponsoring the Conference and Paxton are sponsoring the NAHS Awards. Please visit their websites to see what they can do to support you and your Trust. Click on the images below. Lesar are returning as an exhibitor. Click their logo to go to their website and see the wide range of ID card supplies, lanyards and much much more. All Members should note that tickets are available on a first come, first served basis and that the Early Bird reduced tickets were available until the end of May, when they returned to the full price (£20). Last year's event was oversubscribed so please book early. Please note that advance booking is ESSENTIAL and that no admission will be allowed without a ticket and that no tickets will be available to purchase on the day. A number of the NAHS Executive Committee have stood down. There have also been increasing demands upon the Executive Committee and management functions, and we are exceedingly grateful to those members who in the intervening time have stepped forward during the past 6 months. The recent changes are detailed below but for the full story and details of the specific workstreams undertaken by the Execs this year please click here. The NAHS Executives would like to thank to Ron Gregory for the superb work he did as Vice Chair (North) and the fact that due to his wealth of expertise we have asked him to stay on as an Exec without portfolio. Ron has been replaced by Martin Lomas who volunteered to take on the role of Vice Chair (North) and has been busy liaising with our membership and arranging a NAHS Northern Conference, which was due to be held on the 8th June, however due to extremely poor confirmed attendance numbers, this had to be cancelled. Martin has also been doubling up in support of both Vice Chair posts to provide support to the Chair and representation of NAHS at stakeholder groups. Vice Chair (South) - Steve Davies. Steve has unfortunately had to step down from this role but remains an active and advisory NAHS member. Currently the Vice Chair (South) executive role remains open. We would like to sincerely thank Steve for the dedication and hard work over the years with the Executive team and our members. 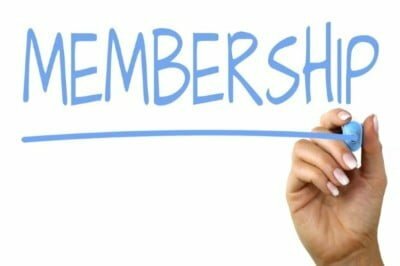 Membership Officer - Mike Burnett had commenced an audit of the existing membership and review of the membership structure but following a job change found himself unable to continue the superb work he started and has stepped down as a NAHS Exec Director although he remains an active NAHS member. Neil Shanks, Security Transformation Lead & Local Security Management Specialist, St Andrew's Healthcare was able to step into this breach and take over the Membership Office. Neil has already put forth a series of recommendations and is picking up the work stream Mike had initiated to explore new membership management systems, and review membership grades and CPD. More announcements to follow in the very near future as we prepare NAHS to become a true membership association and professional body. Press, Social Media & IT Officer - this role was vacant following the AGM, however John Currie, Head of Security & Local Security Management Specialist, Lewisham and Greenwich NHS Trust answered the call for assistance and stepped into this role during the first quarter of this year. John has since been reviewing all press, social media, website, email and IT related matters and has presented a comprehensive and progressive outline strategy to the NAHS management team. It has been John who has been instrumental in progressing our recent GDPR mailshots and communications, including this update to members. John is also leading on the development and launch of our new website and members area. The Executive committee would also like to take this opportunity to say a big thank you to Sean Keown who has been an active NAHS executive for 3 years bringing a wealth of experience to the team. As a member of the ambulance sector he was instrumental in forging closer ties with the acute and community members. Sean rewrote the associations constitution and the NAHS/Security institute MOU. In addition Sean is a Justice of the Peace and as such, his legal knowledge has been invaluable to the Association. Sean now moves into the transport sector but will remain as a Non Portfolio Exec until the AGM in November, acting as a multi-agency liaison officer. Due to the unprecedented number of changes and the evolving need for support of the Executive Committee to manage the process and organisation changes going on within NAHS, we would like to propose a rare but not unprecedented move of holding an extraordinary vote for election of Executive Directors. This is intended to substantiate those in the roles, particularly where the roles have been temporarily filled by persons in an acting capacity. This will empower those in the roles to continue the good work they have taken on with the endorsement of the membership. 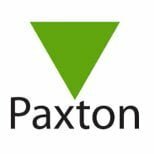 We will hold expressions of interest for these Executive Director positions open until 22nd June 2018 and publish the results in early July. The Chair and other Execs have been attending various meetings and forum to promote NAHS and the work we are all doing to fill the void left in NHS Security Management following the dissolution of NHS Protect in 2017. 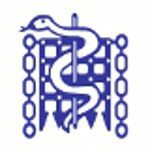 We are currently in talks with NHS England and ask all members to participate and complete the survey due to be shared with us all in due course. We have represented NAHS at the SIA Strategy Forum and raised the ongoing push for a Healthcare Security SIA licensing category. This is in its early stages but would allow us to define the training and skills required and necessary for a Healthcare Security Officer. We will update our members as this subject develops. We are also a key member of the SIA National Violence Reduction Advisory Group and Martin Lomas attended a meeting on on 30th May and briefed the group on levels of violence in the NHS environment. Martin will be providing an update in our next newsletter. We are a member of the Security Commonwealth which is an umbrella organisation of over 40 independent membership bodies across the security profession which gives NAHS excellent visibility and a recognised voice within the Security Industry. We are currently working with Secure By Design (SBD) team to update the guide for Hospitals and the CEO Guy Ferguson has agreed to speak at the NAHS conference in November. The annual Security Expo IFSEC is taking place at London ExCeL from the 19th June to 21st June 2018. Follow @NAHS_org for updates and personal tweets from the Execs attending this year's event, who will be networking and promoting the work of NAHS with fellow Security industry professionals. We are pleased to announce that our existing website will be replaced in the near future by an up to date site with improved functionality and compatibility for PC, tablet and mobile along with an accessible and secure Members area. We are currently in discussion with our website developers and will update members as soon as we have a completion and 'Go Live date. 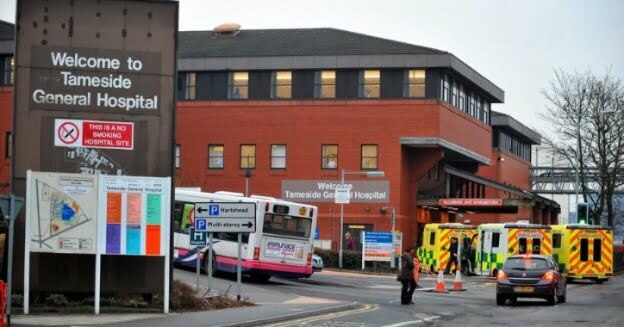 NAHS North Conference was due to take place on the 8th June at Tameside Hospital, however, due to extremely low numbers and a last minute withdrawal by one of our speakers, we were forced to cancel the event. Please accept our apologies if you had planned to attend but circumstances dictated that we were forced to cancel the event. NAHS Executive Quarterly Meeting 22nd June 2018. The Execs will be meeting to discuss the nominations for Executive Directors following the extraordinary members vote and discuss progress towards Charitable Incorporated Organisation status. 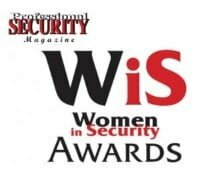 The Professional Security Magazine Women in Security Awards are the security profession’s dedicated awards that recognise and honour the accomplishments, value and contributions of women within the wider world of security. Vote here for this year's categories - Manager, Frontline, Technical and Contribution to Industry. Voting closes on Friday 10th August 2018.